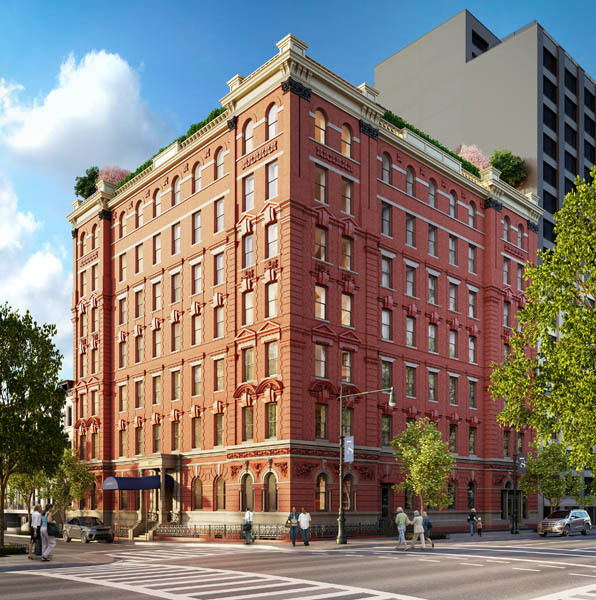 GTIS Partners, a New York-based developer and real estate investment firm, announced the launch of sales for 101 West 78th Street, its highly-anticipated condominium conversion project on Manhattan’s Upper West Side, directly across the street from the Museum of Natural History. 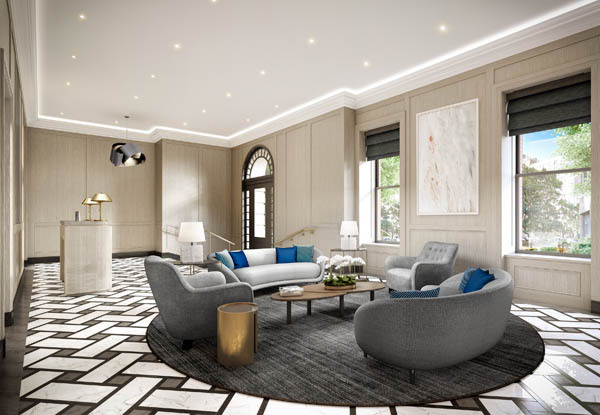 Built in the late 19th century and designed by Emile Gruwe, 101 West 78th Street is being transformed into a collection of just 23 luxurious, grand residences in a mix of two-to-five-bedroom homes, including one full-floor penthouse, fit for 21st century living. Brown Harris Stevens Development Marketing is spearheading the sales and marketing for the property, with a team led by Anne Sullivan Young and Amanda J. Young. Stephen Sills, an Architectural Digest “AD 100” designer and one of the most sought after interior architects in the U.S., designed the building’s exquisite lobby, amenity spaces, and the generously appointed residences. He collaborated with Smallbone of Devizes to create custom kitchens of the finest quality. Architect H. Thomas O’Hara Jr. of HTO Architect, PLLC meticulously designed the residence floor plans to be both grand and efficient. The transformation of 101 West 78th Street commenced in 2015, and buyers will be able to move in this year. Residences at 101 West 78th Street feature over 10’ high ceilings, oversized high-performance wood windows, solid doors with Baldwin hardware, and Hyde Park mouldings. The building has also received new plumbing, mechanical, and electrical systems. Solid oak plank floors can be found in the kitchens, bedrooms and corridors, while herringbone oak flooring is placed in the foyers, great rooms and dining rooms. Gas fireplaces, wine storage and utility rooms with large capacity washer/dryer can be found in select homes. The custom-made Smallbone of Devizes kitchens feature Stephen Sills-designed cabinetry in a white, hand-painted finish, and are accompanied by glass-fronted upper cabinets with antique brass hardware. White Carrara honed marble slab is used for the countertops and full-height slab backsplash. All kitchens come outfitted with an array of Miele appliances and filtered water dispensers. Bathrooms at 101 West 78th Street feature sinks, fittings, and accessories from Waterworks and Stephen Sills custom-designed millwork. The master bathrooms feature Snow White honed marble slab walls, Kaldewei 6’ enameled steel tubs, and flooring with radiant heating, while the secondary bathrooms offer Carrara marble herringbone-patterned floors and White Whisp marble tile shower walls, and Blue de Savoy honed marble countertops. Tertiary bathrooms feature Jura Grey honed marble countertops and tub deck and glazed ceramic penny tile in Dove with Jura Grey marble border. Amenities at the building include a 24-hour attended lobby, fitness center, children’s playroom, bicycle storage, and package room with cold storage. Private storage lockers are also available. To learn more about the development, visit www.101West78.com or call 212-712-1101 to make an appointment to visit the sales gallery at 101 West 78th Street.